Mirador Kitchen & Home is a natural kitchen and home store located in the wonderful inner Southeast neighborhood of Portland, Oregon. We carry products that are geared to helping people live more sustainably. We are proud to be the first store in Portland to focus on food preservation tools and accessories, and to have been a pioneer in the "shop local" movement. We (Steve and Lynn Hanrahan) started Mirador in order to fulfill many of our life goals. In a way, it is a culmination of ideas that germinated in the late 1960s and early 1970s. Steve had managed to get the small company he worked for to let him work three days a week, but he really wanted to do something positive with his life -- and to make a living while doing it; what Buddhists call "right livelihood". We decided on a retail store that would sell products that would help people regain a real connection to their Life. Mirador started out as the idea to sell bread-making supplies, since Steve was getting back into making whole-grain bread with freshly-ground grains. In line with this, we registered the name "Grain Revolution", created in one of the many tea ceremonies that we had on Steve's free afternoons. Up to this point, this was really Steve's "thing" because he was getting increasingly desperate to get out of his corporate job. But as the idea became more real, Lynn decided to take full participation and to include her interest in alternative healing as part of Mirador. She had quit her corporate job in the early '90s and had become a massage therapist, working out of a room in our house. This allowed her time to explore many alternative healing ideas and she became increasingly desirous of being able to share this with more people. And she also had had some experience in a small retail store that made her feel that doing a retail store would be a good fit for our desire for right livelihood. At that point, it became obvious that Grain Revolution was not going to be a good name (though we still love it!). After weeks of tea and wine ceremonies, we finally came on the name Mirador in the dictionary (we were looking up words related to one of our cats, Mira) and immediately liked it because of it's meaning-- "a window or turret with an extensive view" -- and the way it would allow the store room to evolve and not be tied to one particular type of product. At the same time that we were deciding how to make a living in a satisfying manner, we were getting increasingly involved in issues of peace and justice in the Portland community. It gradually became clear to us that we didn't want to spend our lives just protesting bad things; we wanted to be a place that manifested how we wanted the world to be. We were especially interested in helping to rebuild local community. Fortunately for us, the area of Portland that we live in has been undergoing a resurgence in locally-owned businesses for the last few years. There is a lot of character to these businesses and it makes being out in the community a real joy. We wanted to be a part of that because we think it is vital that America stop the slide to corporate commercialism and return to its "main street" roots, albeit in a manner that is more conscious of the implications of what locally owned business means to the greater community. We rented a small space two blocks from Hawthorne Boulevard, but off the beaten path. We were both still working our jobs and realized that the best way to proceed was to open the store and see if would could attract a few customers. We spent nine months cleaning (including scraping up old tile and glue and staining the underlying cement) and painting. At the same time, inspired by the small businesses we visited, we filled our basement with old tables, hutches, and cabinets found at the many resale shops in Portland. 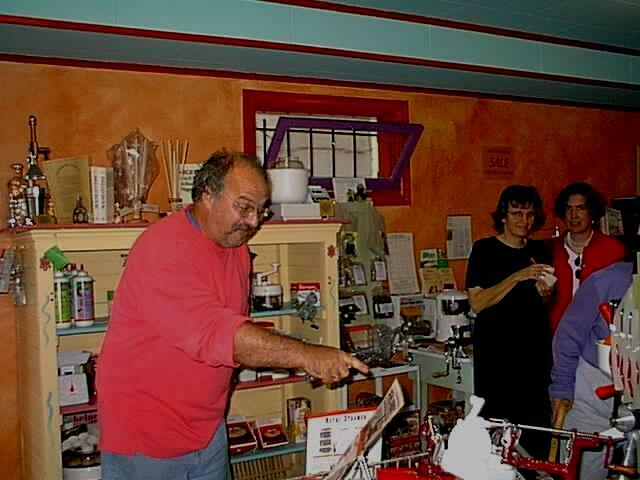 Finally, one day near the end of July, 1999, we looked at each other and realized we were open for business! After a year or so in business, and a small, but enthusiastic following, we did some calculations and realized that if we wanted to make a living with Mirador, we needed a bigger space in order to carry more products, and a site somewhere with a better location. 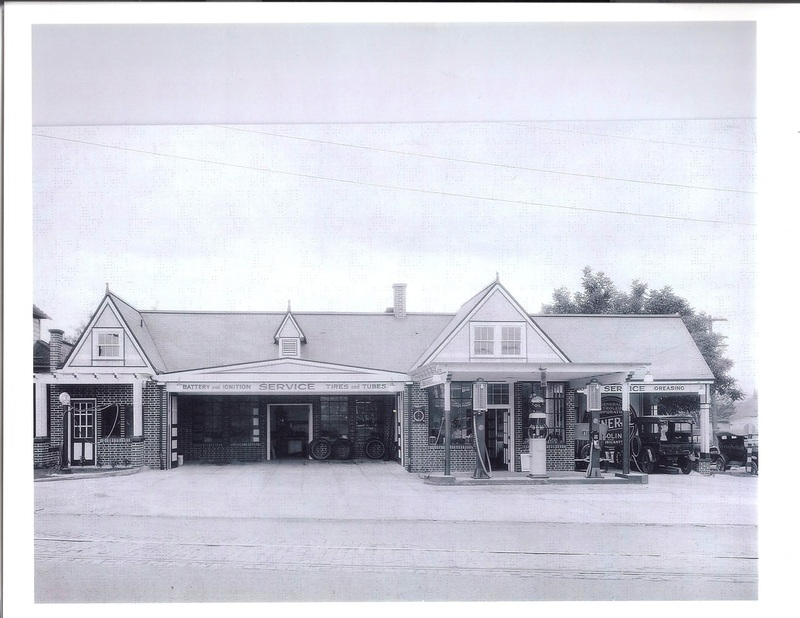 Serendipitously, an old 1920s gas station that we also said would make a cool store came up for rent and we decided that it was the perfect place for us – closer to our home, close to People's Food Co-op, on a busy corner. The rent was triple what we were paying, but we had to take the plunge. Around the same time, the tech startup that Steve was working at was sold to a big company and Steve got a relatively small amount of cash from the sale. That allowed him to quit his job and devote full time to Mirador. Lynn also wound down her massage business so she could also spend full time at the store. For quite a while we were open five days a week, taking Sunday and Monday off. Eventually we realized that if we were open seven days, the extra income would more than pay for an employee to work the extra hours, so we became an employer. At the end of 2016 sales were 25% below 2012 levels. In 2016 alone sales fell 10%. In just the last few months we could see sales slowing more and more. We had determined to retire in 2018 but realized we might as well do it in 2017 and avoid the stress of trying to run the store without enough money coming in. We had hoped to pass Mirador on to someone but the financial reality precluded that. Where are we going to shop for the items we used to carry?? Every day our choices to support local business become fewer and fewer and more of us are forced to shop online when we would prefer to not to. We feel that putting our energy into Mirador satisfied our need to earn a living, our desire to take an active part in our local, regional and global communities, and our hope of making the world a better place, while supporting people in becoming more conscious of the choices they make while living in this world. Our grand opening party. Lynn is in the center right. Our grand opening party. 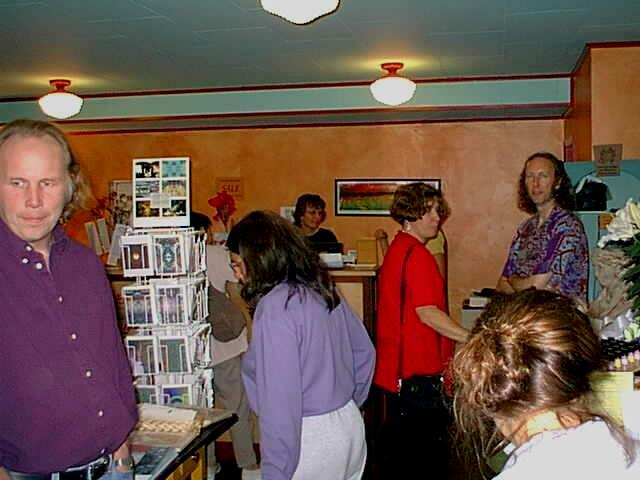 Lynn is behind the counter; Steve in in the right background. Notice all the amazing details. And if you look closely you can see the streetcar tracks in front!